There is still much to be learned about the impact of recent national and state tax reform. 2019 Vermonter Poll. The survey was conducted between the hours of 4:30 p.m. and 8:30 p.m.
included questions on a variety of subject areas relevant to Vermonters. 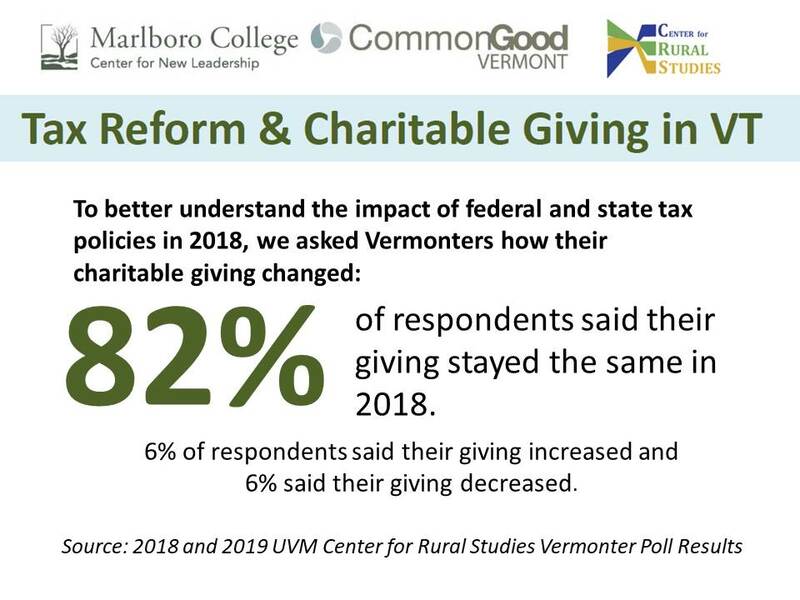 Learn more about the Vermonter Poll.